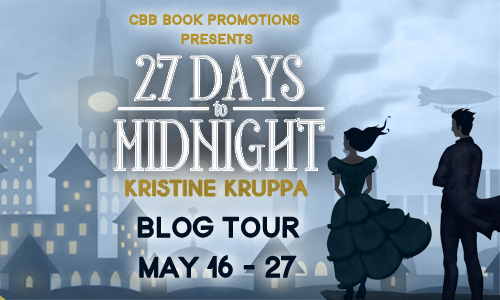 Welcome to my tour stop for 27 Days to Midnight by Kristine Kruppa! This is a young adult steampunk novel and the tour runs May 16-27 with reviews, interviews, guest posts and excerpts. 27 Days to Midnight released May 3rd by Giant Squid Books. 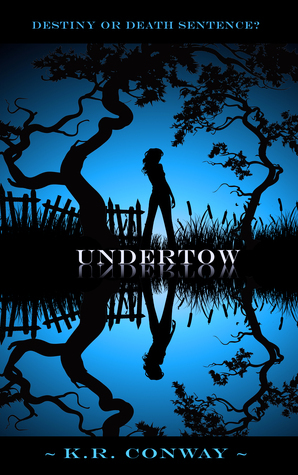 The cover art is by artist Elizabeth Early. Everyone in Dahlia's world knows when they're going to die. This book was a gripping and fascinating read. I didn't stop reading once! It was fast-paced and had me on the edge the whole time. The author really accomplished in the area of making you feel drawn in. 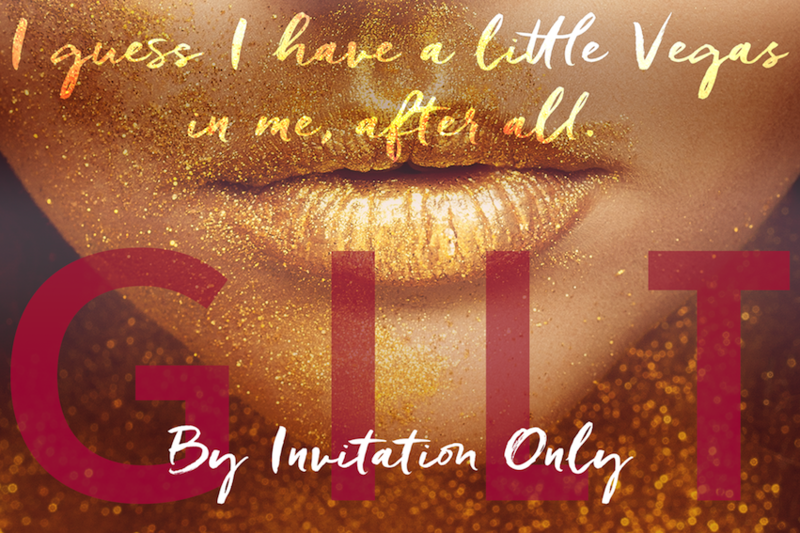 I could relate to the characters and feel a connection with each and every one. My favorite character is actually the bad guy. General Macall was great because he really shows that if we love someone enough, we would do anything for them. However, on the flip side, he shows that the grief of losing your love can cause madness. I could really feel his emotions, such as the animosity towards Ansel Walker. I really love how the author incorporated a bad guy who thought he was doing the right thing. 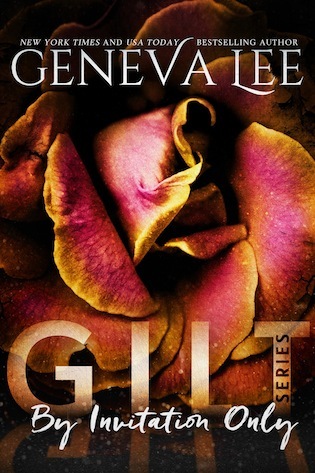 The General had a happy past and this book really shows how one moment of your life can change you forever. I like the concept about the watches because if I knew how much time I had left, I wonder how I would spend my life. I can also appreciate the unknown aspect of the watches such as; protecting it to make sure it never gets broken, damaged or stolen. You have a set time to die, but you never know what will happen to your watch. I recommend this compelling story of friendship, betrayal and adventure to anyone who loves a fantastic read. 27 Days to Midnight is set in a world where pocket watches show how long people have to live. It was inspired by an old clock tower in Detroit that a friend and I explored one hot summer day. The airships in the book are based on real ships! I once worked as a civilian engineer in the U.S. Navy, which involved a lot of scrambling around on cargo ships and tankers. 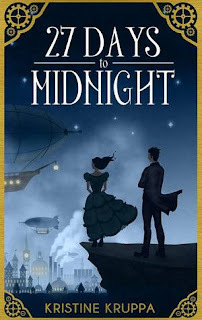 I used small details from them—the color of the lights, the sound of the engines—to make my airships feel real. 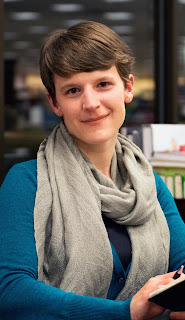 I started writing 27 Days to Midnight for National Novel Writing Month in 2013. NaNoWriMo is a contest where thousands of people attempt to write their own 50,000 word novel in one month. I finished my 50,000 words on time, but it took me another nine months to write the last 35,000! The name of Dahlia’s country, Delmar, was taken from the Delmarva Peninsula where my family and I like to vacation. It’s the piece of land that separates Chesapeake Bay from the Atlantic Ocean. I later discovered that there’s a town named Delmar on the border of Delaware and Maryland. I want to go there one day! I’d always known how the story would start and end, but I didn’t outline the middle. I figured it out as I went along, allowing the characters to show me the way (as any writer knows, they have a life of their own!). I spent every day planning the scenes I would write that night after work. I wrote this book in so many places. In coffee shops, on an airplane, on my couch, on the floor. On a rooftop thirteen stories above the ground, at sunset, while staring out at the ocean. Sometimes bits of those places worked themselves into the story. Tiberius’ cooking style is based on my dad’s. Like Tiberius, my dad somehow knows instinctively how much of each ingredient to add. I’m more like Dahlia: watching in confusion and getting flour all over myself. 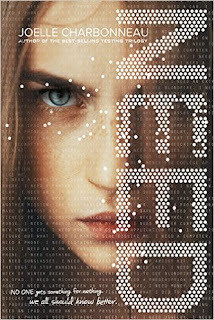 I never intended to publish 27 Days to Midnight. I started off believing I would never let it see the light of day, then I decided I would let my brother read it, then possibly a few close friends. But I loved it too much to not share it with the world! Many of the cities in the story are based on real places I’ve been. Dahlia’s hometown, Sainsbury, resembles Paris. Lawson’s Ridge is Positano, Italy. The food carts and cobblestone streets in Port Argun were inspired by Cusco, Peru. Janmasthala is a combination of Southeast Asia and India (which I haven’t traveled to yet, but intend to!). In 27 Days to Midnight, every person has a pocket watch that shows how long they have to live. The characters all use their watches differently: some can’t stop checking the time, others refuse to ever look at it. I loved using this as a way to show their different personalities. Something better than the classics? Indeed, the iClassics! When was the last time you read a classic? Every so often these books are deselected from libraries because their titles are not in demand anymore. 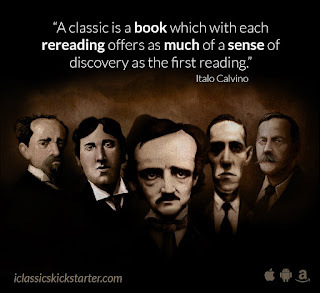 iClassics, a Barcelona-based publisher, is unwilling to accept it and they presented iClassics – Reimagining Poe, Wilde, Lovecraft & more, a unique way to read and enjoy literature for everybody and everywhere, in format of AppBooks. 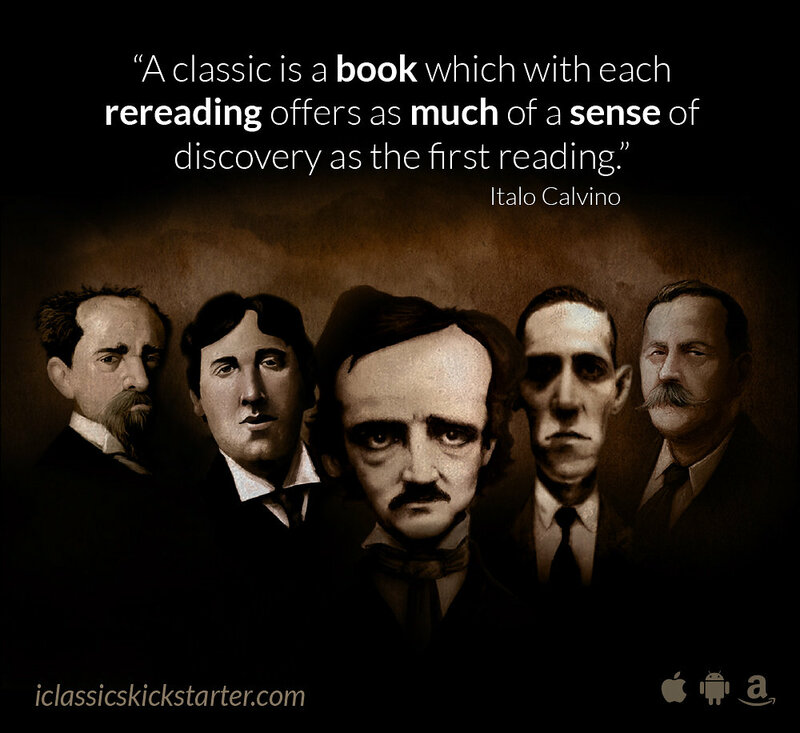 They aim to create an impact by presenting a new - and very awesome - way to READ & ENJOY classical literature in a new format, the iClassics. Today was released the project on Kickstarter, and everyone can take part on it until the 6th of July. From 1€ to 2,500€ they offer a bunch of very cool rewards, including a collaborative artbook with illustrators from all over the globe! Moreover they think that the project has potential to create a social impact among students in the classroom, and they are giving the opportunity to more than 100,000 students to have all the collections for free. Actually, they will give as many as euros raised with the project. Accessibility from any Android devices - currently only for iOS-, new stories, more languages, a common place to share the love for the classics and more… All these is what we will be able to enjoy if the iClassics project finishes the campaign successfully. WE HIT 100,000 PAGE VIEWS!!!! Wow, we can't believe it! WE HAVE HIT 100,000 PAGE VIEWS. Those in the blogger world know that this is a HUGE milestone and we are so blessed to have hit it! We would like to say thank you to everyone that has supported us, requested book reviews, entered giveaways, read our reviews and those who continue to support us! We couldn't do it without you! 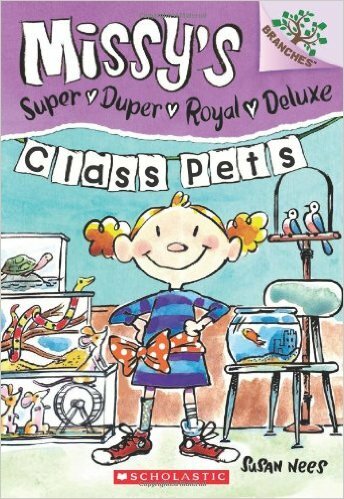 Missy has BIG plans for the class pet . . .well, for three of them! She plans to have a fashion show, create a circus, and even put the pets in their very own parade. But a mean new girl in class, Tiffany, says she's taking the pets home with her instead. Missy enlists the help of her trusty friend, Oscar, to come up with a stellar plan. 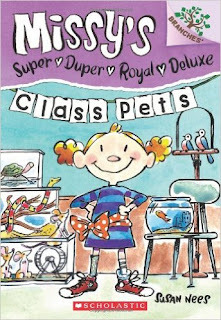 Just like with everything else, Missy takes the class pets home the only way she knows how--the super duper royal deluxe way! This is the second book in this humorous, full-color early chapter book series. When an orphan girl named Creel befriends a dragon, she unknowingly inherits a pair of slippers that could be used to save her kingdom, or destroy it. 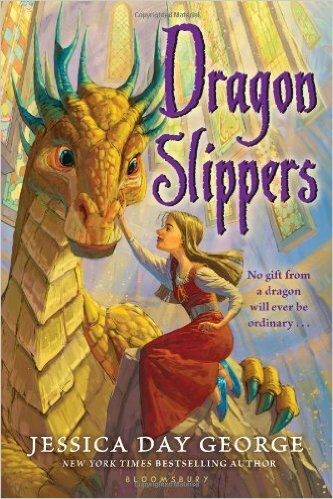 Perfect for fans of Shannon Hale and Cornelia Funke's Dragon Rider, the light tone and charming characterizations bring this heartwarming fantasy to life. Older middle grade readers and young teens alike will appreciate the adventure, fun, and dragon-drenched action! Thank you all so much for all the support, encouragement, trust, understanding, patience and love that y'all have provided all of us. Thank you for continuing on our journey! When he didn’t move to grab her, she relaxed a little, her breath evening out once again. 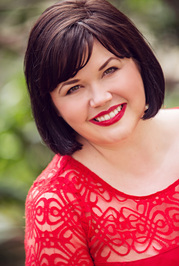 Caden could feel her confidence slowly building. Maybe he really just wants to play a game.